NAUGATUCK – Mrs. J. Barbara Szczesiul, 79, of 572 Rubber Avenue, passed away unexpectedly Jan. 18, 2011 at Yale-New Haven Hospital. She was the beloved wife of Frank J. Szczesiul for 60 years. Mrs. Szczesiul was born in Meriden, CT on March 19, 1931, daughter of the late Francis Slawinski and Salome (Drauss) (Slawinski) Popielarz. She lived most of her life in Naugatuck. She was a very active communicant of St. Francis of Assisi Church where she was a lector, choir member, member of the parish council and altar guild and a volunteer at the parish bingo. Barbara had worked at the Naugatuck News, Duffy’s Restaurant, Coddington’s On Meadow, and Naugatuck election polls. She enjoyed family gatherings, reading, crossword puzzles, traveling, bingo and casino trips. Mrs. Sczcesiul was also an avid UCONN sports fan. Besides her husband, she leaves three sons, Francis Szczesiul and his fiancée Gracie Rhodes of Albuquerque, N.M., David Szczesiul and his wife Glenda of Grantham, N.H., Frederick Szczesiul and his wife Carolyn of Lisbon, Conn., five daughters: Karen Bellini and her husband Dan of Berlin, CT, Salli Anctil and her husband Tom of Morris, Conn., Kathy Stuke and her husband Doug of Prospect, Teri Guarino of Hopkinton, Mass., Melanie Szczesiul of Wethersfield, Conn., two sisters: Mary Peter and Mary Liguori, both of Garfield Heights, Ohio, 13 grandchildren, three great grandchildren, several nieces and nephews, and former son in law: Chris Guarino. She was predeceased by four brothers: Leonard, Bart, Joseph and Francis. Barbara’s spirited laugh and sparkling eyes will be missed by all. St. Francis of Assisi Church Renovation Fund, 318 Church Street, Naugatuck, CT 06770. 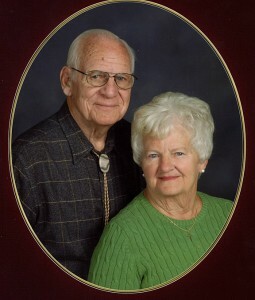 To send an on-line condolence, please visit www.naugatuckvalleymemorial.com.